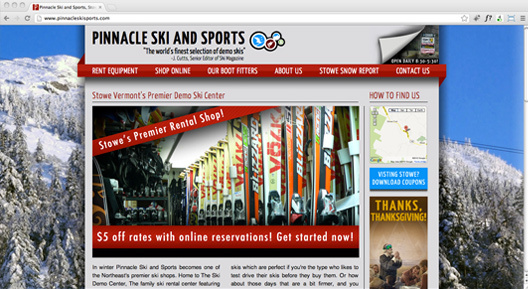 Entire site designed for Pinnacle Ski and Sports, as an employee of Skiessentials.com. This might seem like a bit of a curve ball, but The An& Brand also offers web design services. In staying true to our in house mentality, we've been building our own website since day one. As you can see, we've come a long way since that first website.